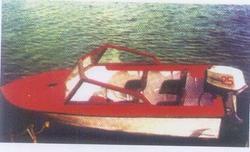 We are engaged in the manufacture, trade, export and supply of a vast compilation of FRP Motor Boats. Owing to their lightweight, robust construction, reliable performance and excellent speed, these boats are highly demanded among our precious customers. 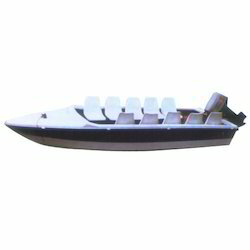 These durable and efficient FRP motor boats are extensively used in water parks and beaches. 1) Length - 3.8 mtr. 2) Width - 1.6 mtr. 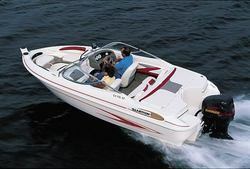 Our company is engaged in the manufacture, trade and supply of meticulously designed and developed Motor Boat that can be availed in multiple capacities. Widely appreciated for their minimal maintenance requirements, high seating capacity, lasting finish and lightweight, these efficient motor boats are widely asked for. Our customers can avail these boats at affordable rates. We are a prominent Manufacturer and Service Provider of Diesel Power Boats. Looking for Motor Boat ?